Our sweet Georgia girl arrived a few weeks ago and we are head over heels in love with her. 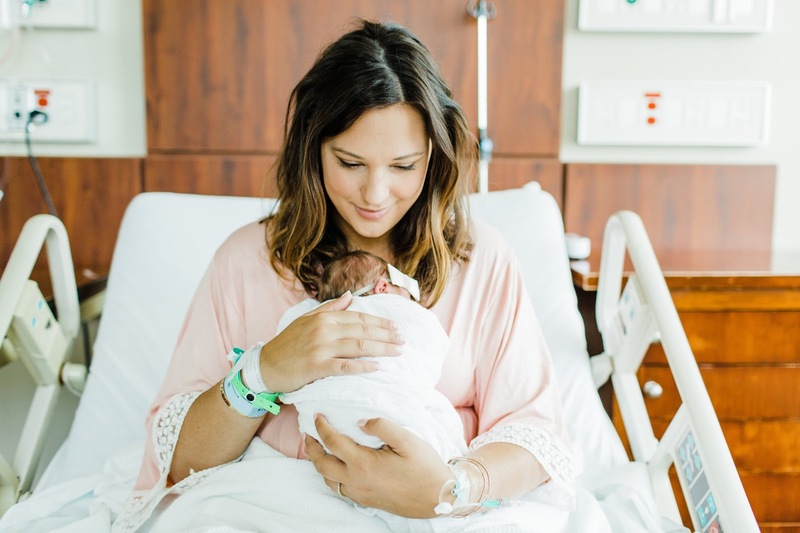 Her birth was a welcome surprise at just 37 weeks gestation and it was, thankfully, another quick and successful C Section delivery. Our tiny babe, named after my great-grandmother, came into this world at a rapid pace (Justin almost missed her birth) and screamed her way through her first thirty minutes or so of life, but she has proven to be the perfect fit for our family. Justin and I are so grateful to our family and friends who dropped everything to be with Gray at a moments notice - we couldn't have done it without you. Instead of a classic Birth Story post, I put together a little video of photos from one of the most precious events of our lives: when Gray met Georgia. Truth be told, I spent my entire pregnancy dreaming of the moments captured in these shots. My sweet boy has been so excited to welcome his baby sister into the world and while we didn't know exactly how he would react when she officially arrived, we did know that it would be a moment we would never forget. I asked Courtney Malone of Courtney Malone Photography to be there when our children met for the first time so that I could be completely present (and not in mama-razzi mode) and I am eternally grateful that I did. Each second of that first meeting is more than I could have ever imagined - not a single photo that includes Gray is posed - he asked to hold her, see her "tiny little feet" and picked up the bottle to feed her - and Justin and I were just in awe of him. He is absolutely the world's best big brother. I cry every single time that I look at these photos - the look of pride on my first born's face with our teeny tiny, only 18 hours old, baby girl in his arms is more than my post-baby mama heart can bear. We are so blessed to have been given these children and they are, without a doubt, our greatest joy. Song credit: The Voice Complete Season 9, Jordan Smith, "Halo (The Voice Performance)"
I have a lump in my throat!! This is so sweet. Congratulations again! Absolutely loved that sweet, sweet video! Brought tears to my eyes! So happy for you guys! Gray looks like he is so proud to be a big brother! Gray is the sweetest big brother! Congratulations to your whole family!!! Oh my gosh I cannot handle this!!! Beautiful! You have done an awesome job making 2 beautiful babies mama! That was so beautiful Stephanie, congratulations on sweet baby Georgia. what a beautiful family and beautiful moment! congratulations friend!! Stephanie this is so special! Thanks for sharing with us. She surely is loved!